The award winning shows at the King’s Castle Theatre are produced and created by David King who is one of England’s most respected international producers. David is responsible for the world wide smash hit “Spirit of the Dance” as well as many other famous shows. At any one time, up to 20 of David’s productions are touring the world, including resident productions in Myrtle Beach, Las Vegas, New York, and more. Branson is honoured to play host to David King’s superb productions. 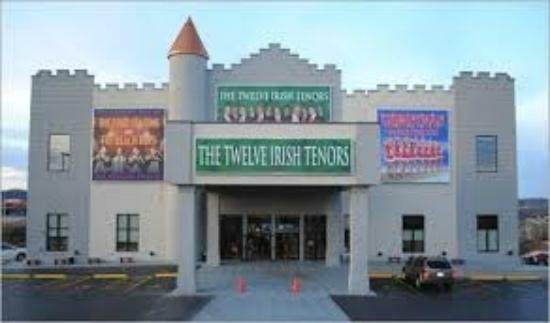 NEW for 2014, King’s Castle Theatre proudly presents, for the first time in Branson, Dublin’s Irish Tenors and The Celtic Ladies. This group of 5 of Ireland’s finest tenors and 4 of its loveliest ladies perform some of the best music of the 20th Century, including famous Irish classics, Opera, Pop and Swing. Their unique blend of timeless traditional folk ballads with adult contemporary and classical will appeal to all ages. Touring since 2009 in places such as Monaco, Las Vegas, Reno and Niagara, Dancing Queen is now proud to call Branson, MO its home. ABBA fans won’t want to miss it! This show pays tribute to one of the best-selling groups of all time in a show-stopping musical extravaganza that will leave you breathless. Our cast shines as singers and dancers in beautiful costumes perform those groovy ABBA tunes that everyone knows so well. It’s a psychedelic kaleidoscope of color as they bring to life some of ABBA’s greatest hits, including Mamma Mia, Waterloo, Thank You for the Music, and The Winner Takes All. 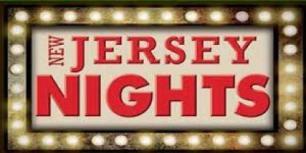 New Jersey Nights has been jetting around the globe and selling out theaters in Reno, England, Monaco, Myrtle Beach, and Niagara Falls just to name a few! And now Branson, MO has been added to that list. No yuletide trip to Branson would be complete without seeing Christmas Wonderland, one of Branson’s largest holiday productions. A sparkling cast of singers and dancers takes you on an unforgettable and magical sleigh ride to a grand Christmas extravaganza. This festive musical holiday show celebrates Christmas in all its glory and features your favorite holiday classics. Christmas Wonderland is a lavish production, filled with all the warmth of the season. Candy-striped costumes, lively choreography and heart-stirring voices create magic as the cast whisks you away from the cares of the day.